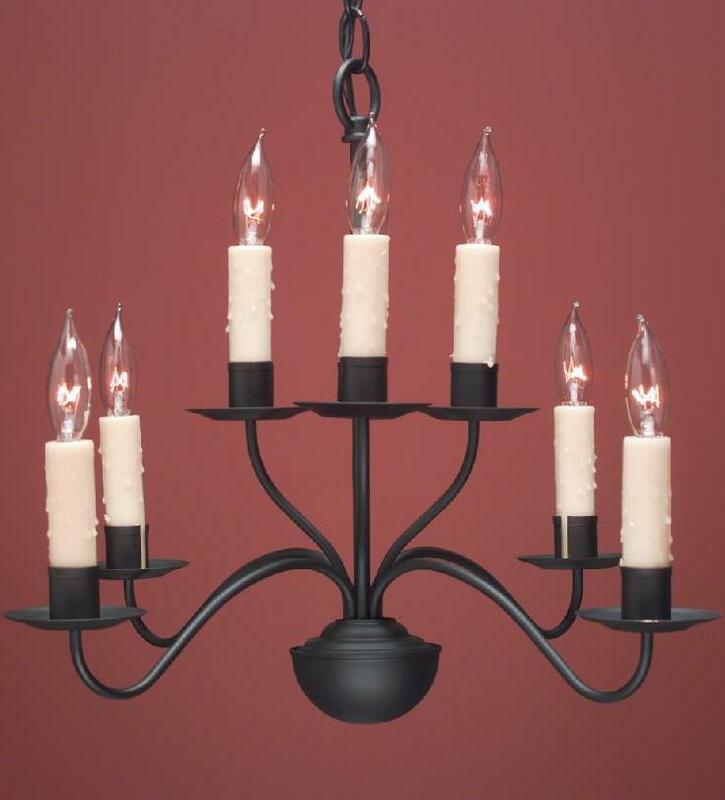 Hammerworks reproduction handcrafted French Country Chandeliers are a beautiful addition to any setting. Most noteworthy, the simple elegance of the design offers a unique look suitable for many home styles. Consequently, from a City Townhouse to a Country Cottage or Vintage French Provincial, these chandeliers make a graceful statement. Especially relevant, we offer several sizes and styles of French Country Chandeliers to choose from. Hence, choose from the petite French Colonial Country Chandeliers to the stately Rustic French Country Style Chandeliers. 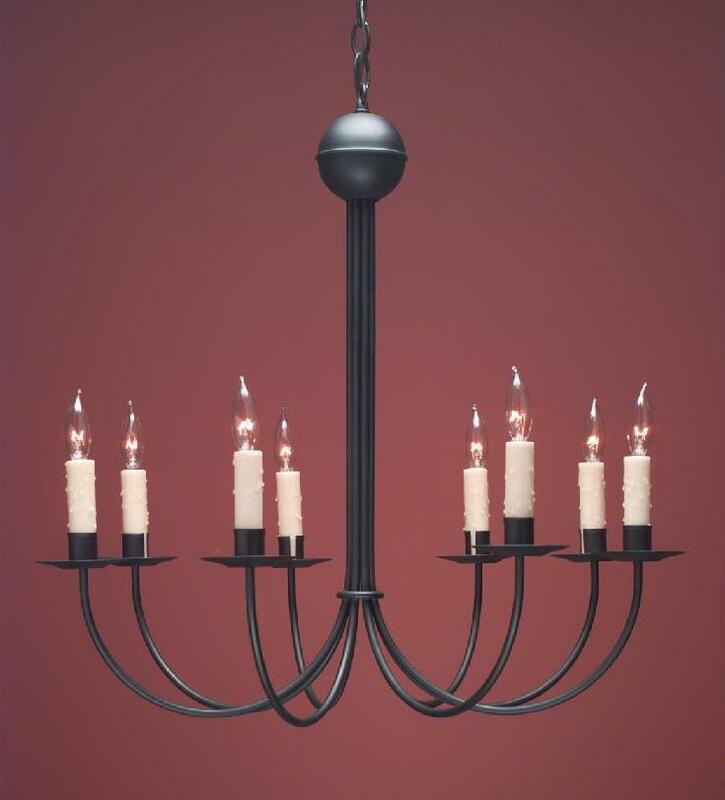 Most importantly, we make French Country Chandeliers in antique brass, tin and painted black. Consequently, there is a finish to coordinate with your decor. Thus, for design schemes from simple to formal, you’ll find one meeting your needs. Especially relevant, in terms of illumination, each chandelier accommodates up to 60 watts per socket. Furthermore, we provide a matching ceiling plate and 2 feet of chain with each chandelier. Of course, additional chain is available for a minimal charge. 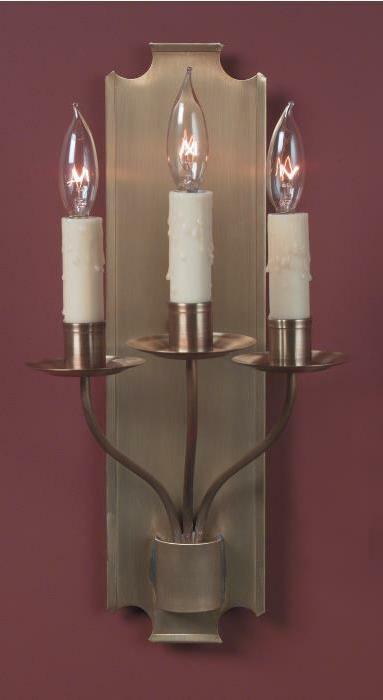 In addition to French Country Chandeliers, we offer a selection of matching French Country Sconce Lighting. Most noteworthy, we handcraft these unique sconces in both a three arm or the French Country Wall Sconces with five arms. Simply pair them with any of the French Country Chandeliers, completing the design of your room. Of course as with all of our lighting, the French Country Collection is handcrafted with authentic precision. From a historical context, the French Country style was first introduced to America through settlers in the Southern Colonies. In addition, those emigrating from Canada influenced the popularity. Furthermore, the celebrity of Lafayette fueled the demand for everything French, including the lighting. As a result, this singular chandelier design became as much in demand as its Colonial counterparts. Above all, our skilled craftsmen capture the essence of the unique style. 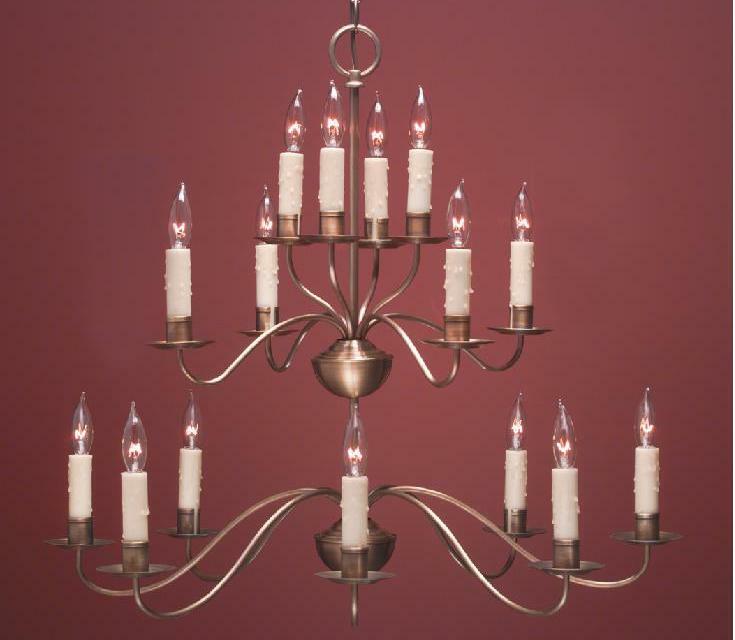 Another favorite choice, in addition to French Country Chandeliers we offer several handcrafted antique reproduction Colonial Tin & Brass Chandeliers. Of course, each rustic style chandelier is also hand made using high quality materials. In addition, just as with our Outdoor Copper Colonial Hanging Lights, each chandelier is made with the time honored methods of the original craftsmen. Although simple and functional, the timeless style of primitive Colonial Tin Chandeliers fits any setting. First of all, the smaller chandeliers are an excellent solution in areas with minimal door or headroom clearance. Furthermore, models such as Colonial Reproduction Tin Chandeliers are ideal for a country kitchen. Similarly,consider Reproduction Colonial Tin Chandeliers, a two tier Colonial home model. Although large in size, it is humble in design. Since they’re also available in 3 & 6 light choices, these rustic style tin pendants are perfect for any restoration or reproduction home. Most importantly, because we offer such a wide range of sizes and styles, they easily coordinate with your decor. 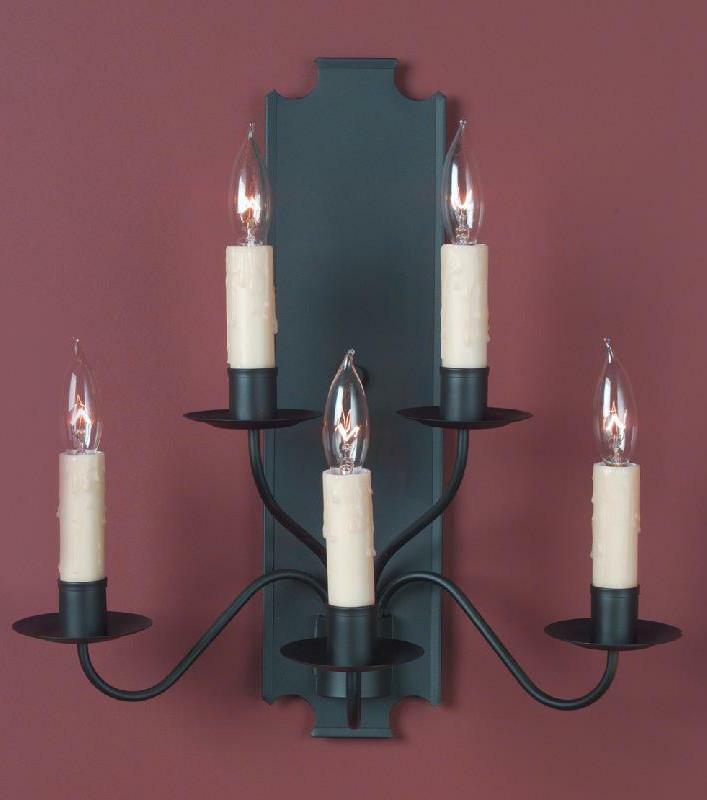 No matter what, you should consider pairing them with our Colonial wall sconces to complete the look. Especially relevant, we also offer a variety of single, double and triple tier antique reproduction Colonial Brass Chandeliers. Consequently, while a single tier model is fitting for a small dining area, the 2 tier reproduction brass chandeliers are ideal for a larger space. 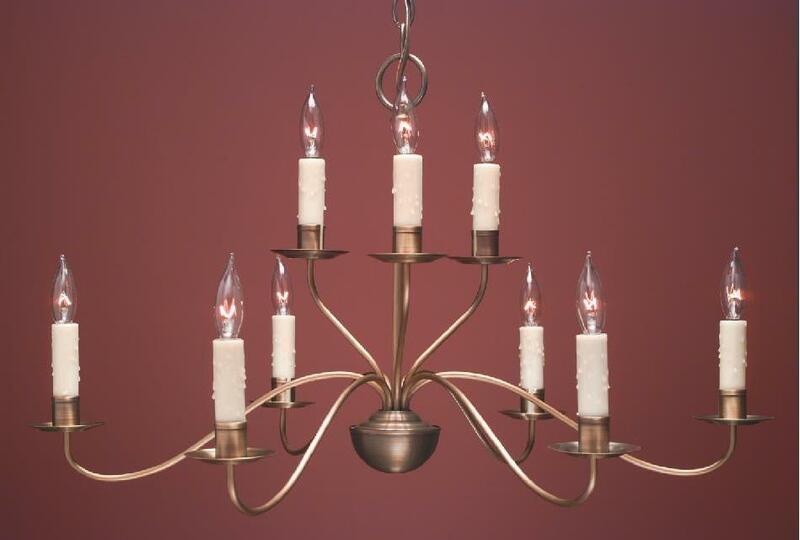 Consider, for example our Colonial Brass Dining Room Chandelier CH100 2 tier chandelier. 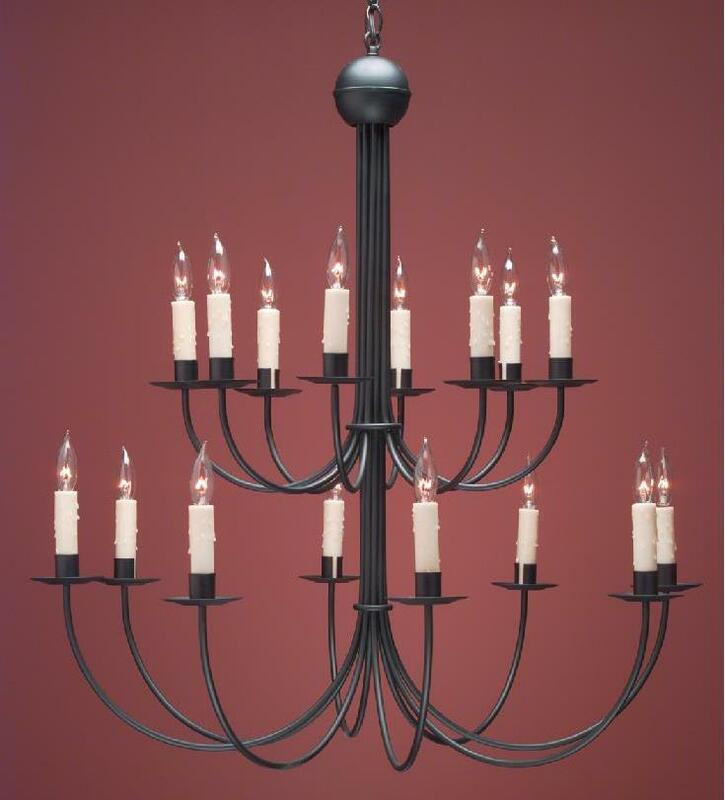 Or, perhaps the equally impressive Early American Tin Chandelier triple tier CH303 crafted in solid brass. Due to their size, either of these light fixtures are excellent in a grand dining room. In addition, they are perfectly suited in a foyer or great room. Of course for a different look, the Colonial Wooden Chandeliers such as Early American Reproduction Wood Chandelier CH-109 show well in any setting. For a great rustic appearance, there is nothing better than our Hand Punched Colonial Pierced Tin Chandeliers. Of course, because this is handcrafted lighting, we apply the punched design one at a time. Above all,you will be delighted with the charming reflection of the piercing on the ceiling. Especially relevant, primitive Colonial pierced tin chandeliers & pendant lights are made in a choice of antique tin or brass. Furthermore, we offer a variety of arm configurations. Also, there is a “down light” in the center cone for added illumination. In addition, we make a Colonial Punched Tin Witch’s Hat without the punched design, if you prefer. Of course for a uniform look, we offer a Pierced Antique Ceiling Light to coordinate nicely with the punched tin lights & pendants collection. Most importantly, in addition to the French Country Chandeliers, we handcraft a full collection of Colonial Lighting Fixtures. While we have mentioned some of our many interior options, we create several outdoor post, wall and hanging light fixtures. One favorite choice is the classic Colonial Post Lantern Small Sturbridge P102. With its’ versatile design you can pair it with anything, from the Colonial Reproduction Barn Lantern W102, to the Traditional Wall Lantern Sturbridge WM102. Furthermore, Colonial Pendant Light: H112 is another attractive option to create pleasing curb appeal.